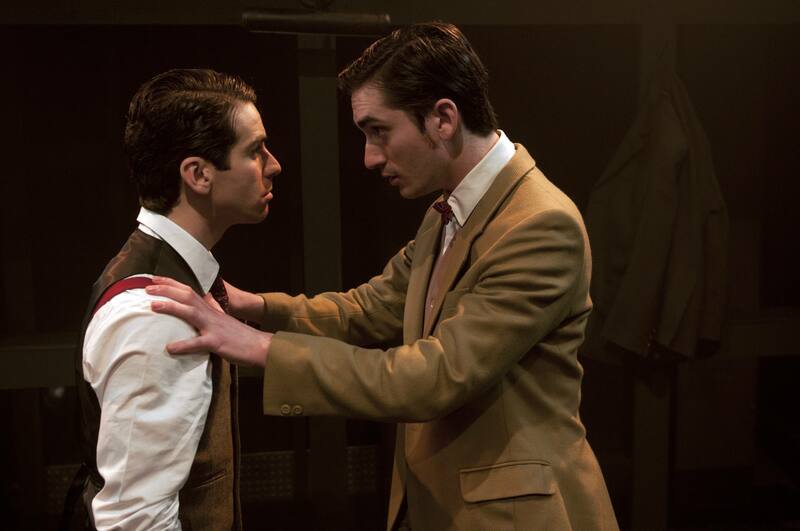 This two hander from Stephen Dolginoff makes a successful transfer to the Charing Cross Theatre – retaining the intensity and fascination of the original run, but adding a hint of swagger and confidence in its comedy. I have fallen in love with this play. This deal was sealed over a month ago when I saw the story of compulsion and delinquency in a theatre a quarter the size of its present home. It’s probably due to that initial intimacy (a 60 seater, we weren’t sat far from the front) that it was hard not to feel an investment in this production – I have been rooting for it ever since. I also see this as an exceptional example of what music theatre can do. There are many musicals out there without a hint of ‘jazz hands’, but this is so tightly plotted and so accessibly intense (85 minutes without even a break for applause) that I’d urge everyone to take along a musicals-sceptic friend and see if they can be converted. The most obvious difference in this transfer is in the character of Richard Loeb. 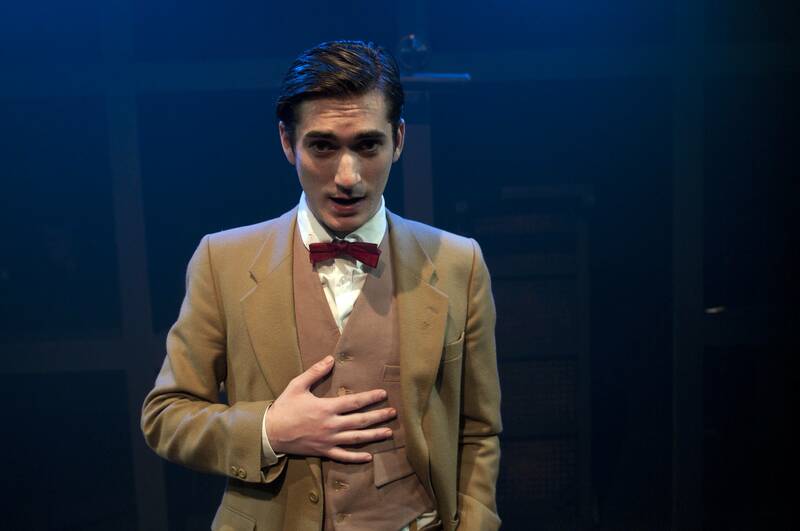 Played by the less experienced of the two stars, George Maguire, what was previously more of a straight man role around which Jye Frasca’s Leopold could hang his telling of the story has become more of an equal billing. Maguire’s Loeb has grown in confidence and added a greater element of the aforementioned ‘swagger’ to his performance. This Loeb is more charismatic and persuasive – more scary. Maguire is haunting as he sings ‘Step into my Roadster’ to the child that they are about to kidnap, hilarious when he casually suggests murdering his brother, and he equals the fantastic performance of his co-star, Jye Frasca. Frasca is still on top form – creating a Leopold so entwined in his regard for Loeb that not even the reality of murder can break him out of his reverie. The chemistry between the two is electric. They claim to be ‘like brothers’ off-stage, and it shows. With an almost bare set, single piano and simple costumes, this production allows the two most important elements to shine – a believeable central relationship and impelling score. Stephen Dolginoff’s music, book & lyrics are totally fantastic -the score imbuing the action with a sense of relentlessness and urgency. His lyrics are direct and clever, delivering chilling and comedic moments aplently. The comedy is emphasised more in this new version – there were certainly more laugh-out-loud moments – partly due to the greater emphasis on Richard’s arrogance, and partly to the fact that the greater audience space gives viewers more of a chance to breathe and react. Whilst the intimacy of a tiny theatre will always be missed, in making the show ‘bigger’ in its comedy and characterisation, the extra space here has been well filled. Time for a summing up. The verdict is clear – head down to the Charing Cross Theatre before 11th June for the thrill of your theatrical life. 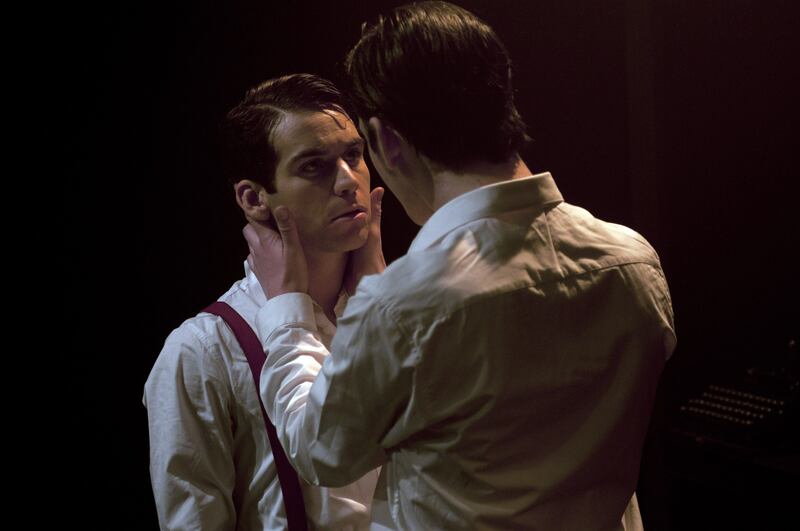 Thrill Me: The Leopold & Loeb Story is playing at the Charing Cross Theatre (formally New Players) until Saturday June 11th. For my review of the Tristan Bates version please click here.